Python is one the best programming languages ever invented. It entails simple English that makes it easy to remember as well as write commands. The codes are easy to read and it required little knowledge but it can be used in very complex tasks such as AI development and Hacking. In this article, I’m going to mention 5 reasons why every Programmer should learn python. But, first, let’s discuss some of the features of Python. Have Standard libraries to provide various functionalities to ease implementation of a complex application. It was designed in consideration to newbie’s/ beginners. White space, as well as common expressions, has been used to do away with the need for ugly braces and uninteresting variable declarations. Executes basic tasks using less code. If compared to Java, Python tends to be 3-5 times shorter while 5-10 times shorter when compared to C++. Python’s language supports multiple styles such as object-oriented, imperative and functional programming. Its memory management is automatically done. Why Every Programmer Should Learn Python? By having Python’s coding knowledge, you have established a solid base for learning programming. Methodologies used for Python can also be used in many applications. Recently, Programmers are using Python to enhance scientific programming. Researchers and academic scholars used the MATLAB language for their scientific research. Researchers can now use numerical computations engines for Python such as Scipy and Numpy. They can now solve complex calculations by single-import statements which are then followed by a function call. Python language is flexible, it’s faster and offers many functions for machine learning. Researchers increasingly prefer using Python and soon it will control the machine-learning landscape. Python is an open-source language, many people always try to make improvements in it thus it is up-to-date with the recent and current trends. If any programmer has challenges or is faced with some technical issues, they can seek assistance from Python Community Members using forums such as facebook, twitter, and Q & A sites. These sites have thousands of members thus you’ll ultimately get a satisfying answer. Also Read: Why Python Programming Language is very useful for Hackers? The demand for Python programmers has anonymously increased over the years. In 2014, when the demand for hiring IT professionals reduced by 5 percent; Python programmers’ demand increased by 8.7 percent. Python is greatly used by famous and established corporations such as Yahoo, Google, Nokia, Disney as well as IBM. While comparing various programming languages; in 2013, Python had the highest job demand-growth of 19 percent. Python programmers enjoy an increasing job demand for their skills. Python provides various choices to choose from when web programming. Python has a line-up of the framework set for developing websites. They include Pylons, Zope2, web.py, Django, TurboGears, web2py as well as Grok though Django is the most preferred and popular framework for python development. What makes Python great is that the coding program takes the shortest time when you use Python unlike in the case of PHP that takes hours to be complete. 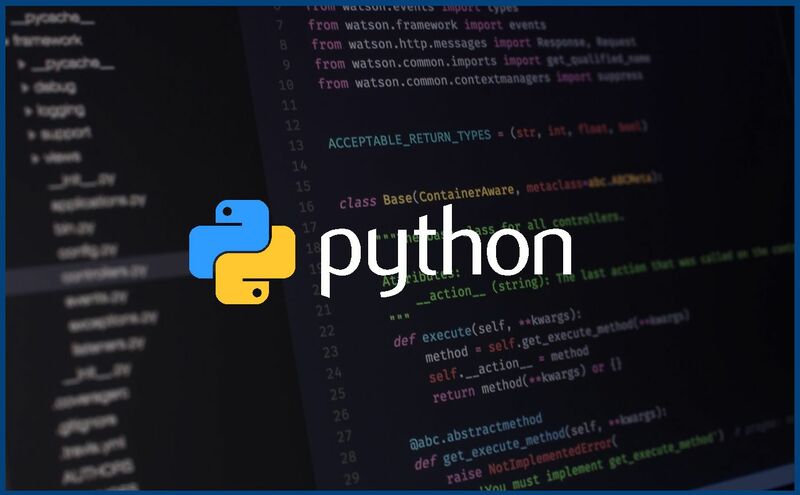 Python is the ideal option for start-ups since; With Python, You’re able to code faster and help build complex applications using minimal code’s lines. They are often 5 times less compared to Java while 10 times less compared to C++. When it comes to start-up worlds, it is essential to move fast from idea to implement. Therefore, it is recommended to learn Python. In addition, it can be useful as a supporting utility or partly as a core product. What is a good resource to learn python from the beginner’s level? Codecademy is the best according to me. I was also a beginner 6 months back but then I completed just one course of Python from Codecademy. It doesn’t make you a pro but it gives an excellent start. The course is free and it’s learn-by-doing. Do give it a try, you’ll love it! You forgot to mention Flask web framework which has surpassed even Django in popularity due to increase in the popularity of micro services.